Katrien Verbert will be the next guest speaker of a new SNOLA webinar. 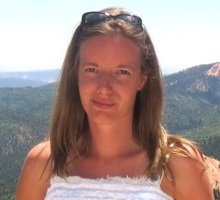 In this talk, Katrien will present their work on learning analytics that aims to support learners, teachers and study advisors through dashboard applications, ranging from small mobile applications to learnscapes on large public displays. Dashboards typically capture and visualize traces of learning activities, in order to promote awareness, reflection and sense-making, and to enable learners to define goals and track progress towards these goals. She will present results of user studies of our learning dashboards to support blended learning, group work, and communication between students and study advisors.